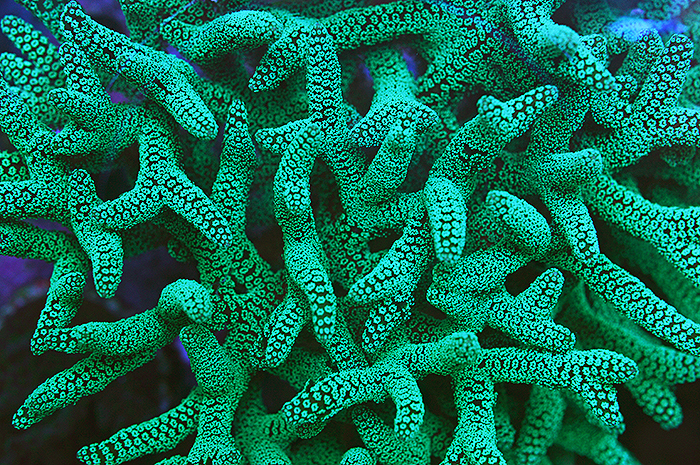 Green Birdsnest Coral, Seriatopora guttatus. Image by Felicia McCaulley. Biologists know the Pocilloporid corals as early colonizers of shallow tropical waters where substrates have been left bare by storms or other events. Their fast growth, hardiness and readiness to reproduce also make them favorites in coral research labs and great choices for reef aquarists, even beginners. Felicia McCaulley takes a look at the genera Pocillopora, Seriatopora and Stylophora in the July/August issue of CORAL. Shown above is Seriatopora guttatus, the Neo Green Birdsnest, Finger, or Brush Coral. 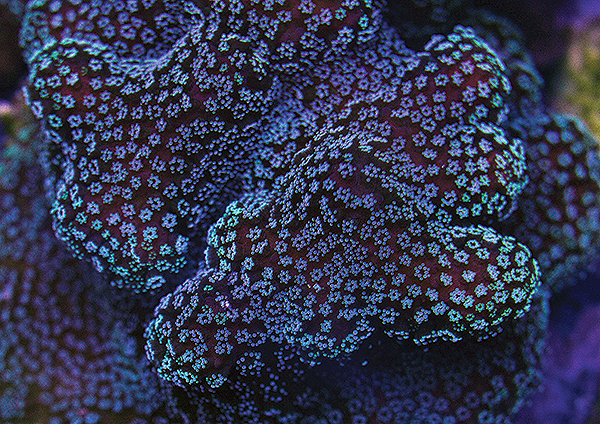 Tyree Rainbow Stylophora, noted for its often iridescent polyps. Image: Felicia McCaulley. COVER STORY: ULTRA-HARDY LARGER FISHES for aquariums of 125 to 500 gallons continues the Scott Michaels series to help enthusiasts find the species that are most likely to thrive and reward their owners with beauty, fascinating behaviors and relative ease of keeping. 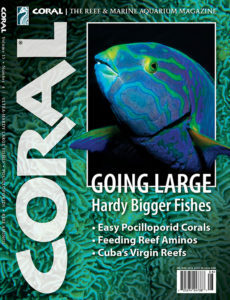 Must reading—part of one of CORAL’s most-popular features ever! THE POCILLOPORIDS GUIDE: Great stony corals for beginners to experts are found in the genera Stylophora, Seriatopora and Pocillopora. Veteran reefkeeper and marine retail staffer Felicia McCaulley takes a look at their husbandry and how to select the right species. UNDERSTANDING (AND USING) REEF AMINOS: Essential amino acids may be a key to better health and growth of corals and other reef organisms, and Dr. Dieter Brockmann explores the new supplements and why they may be of interest to serious marine hobbyists. MUCH more: Using RO/DI for aquarium water preparation, bleaching-resistant corals of the Red Sea, stunning new Coral Visions by Matt Pedersen, a must-read Cyanide Testing Update by Ret Talbot and much more. CORAL: WHERE THE MOST-ENTHUSIASTIC REEFKEEPERS FIND INSPIRATION, TRUSTWORTHY INFORMATION and NEW IDEAS. Molly Miller Blennies for Aiptasia Control?